The Japanese Hayabus-2 probe, which is supposed to collect soil samples from Ryugu steroid, will not do this in October, as originally expected, but around the end of January. Apparently, this means a slight extension of his mission – initially it was assumed that the probe would go back to Earth in December of this year. The reason for the delay was the complex nature of the surface of the asteroid. It was assumed that it is more or less even, but as it turned out upon arrival, this is not at all the case. There are many craters, potholes and other irregularities that impede the landing – and it will have to be made to take samples. According to Yuichi Tsuda from JAXA (Japanese Aerospace Agency), management personnel need more time to prepare the landing. “We expected the surface to be smooth, but it looks like there is no completely flat area,” says Tsuda. 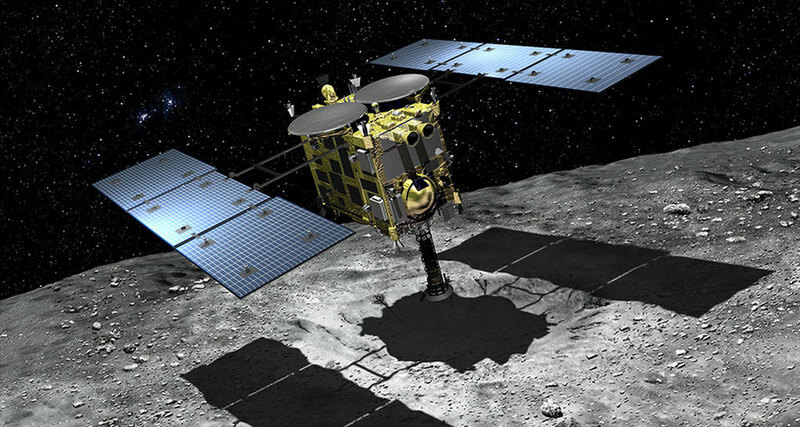 Today, Hayabusa-2 includes such achievements as photographing an asteroid at close range and landing three rovers on it. Two Japanese projects MINERVA-II and one European project – MASCOT (Mobile Asteroid Surface Scout). Soil sampling should be one of the key points of Ryugu research. To facilitate this task, the probe is equipped with a small gun, which will have to shoot at the asteroid with a pig and knock out a small crater on it. Soil samples will be collected from it later. It is assumed that they may differ slightly from what can be found on the surface.